During the meeting of members of the Mejlis of the Crimean Tatar people with the ambassadors of foreign countries and representatives of international organizations, several issues were discussed, the Head of the Mejlis of the Crimean Tatar people Refat Chubarov said, QHA correspondent reported. The first issue relates to the unification of efforts to protect citizens of Ukraine living in the territory of the temporarily occupied Crimea. “We spoke about the initiative of Ukraine to create an informal association "Friends of Crimea's De-occupation." Thus, with such an initiative, the President of Ukraine addressed the UN General Assembly in December 2017. At today's meeting, the ambassadors of Turkey, the United States, Sweden, Australia, the Czech Republic, Japan, as well as the Head of the UN monitoring mission spoke. The position of our partners in support of Ukraine, Crimea and the Crimean Tatar people does not change. Moreover, we see that the pressure on Russia gives its results. We noted that we seek to deepen the sanctions. In particular, it was about the disconnection of Russia from the payment system SWIFT, the embargo on Russian energy, oil," Chubarov said. The second issue discussed at the meeting is the introduction of amendments and additions to Section 10 of the Constitution of Ukraine "Autonomous Republic of Crimea". “In 2014 we, the Crimean Tatars, had no legal instrument to protect ourselves, our land and our state - Ukraine. Since for 23 years of independent Ukraine, until the Russian occupation, there existed an autonomy of the Russian majority, and they made it possible that we, the Crimean Tatars, the people of our land, found ourselves in occupation. 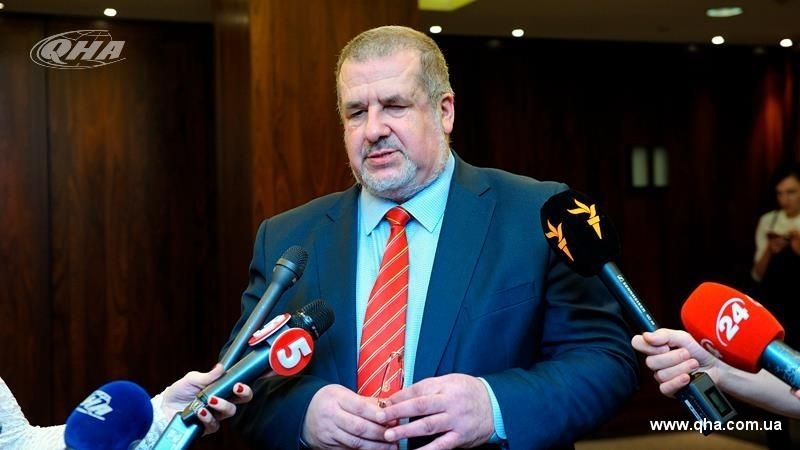 Reforming the Crimean Autonomy in the national territorial autonomy of the Crimean Tatars is a way to ensure the equal rights of all who live in the Crimea, including the Crimean Tatars," the Head of the Mejlis noted. According to him, the text of amendments to the Constitution can be submitted to the Verkhovna Rada until the end of the current session. Earlier, Deputy Chairman of the Mejlis of the Crimean Tatar people Akhtem Chiygoz said that Crimean Tatars in the annexed Crimea would not take part in the presidential elections in Russia and are preparing a number of actions.